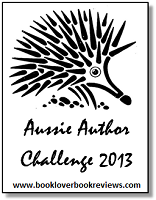 I am signing up the Aussie Author Challenge 2013 under the category TOURIST. Details of the challenge are given here. Hoping to be a TOURIST reading and reviewing 3 books by at least 2 different Australian Authors - Fiction or non-fiction, any genre. A very warm welcome to the Aussie Author Challenge Manasa!